Happy Boxing Day! I trust you’ve all had chocolate for breakfast this morning. W has already eaten half a Santa before I managed to get out of bed. Remember last week, when Trudie told us all about her “Eatmore Cookies” (or, as I read it, eat more cookies), and we all got excited about the idea? I totally made them! Easiest. Cookies. Ever. 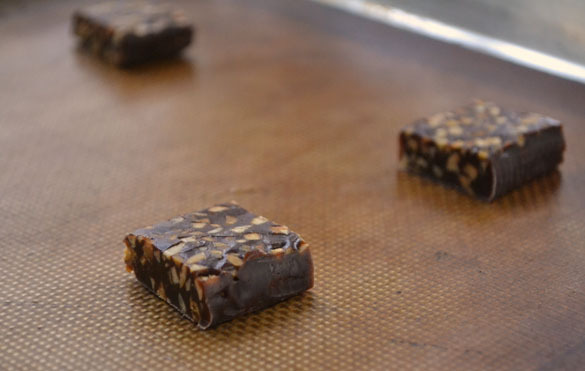 Here are Trudie’s instructions – it’s all you need: cut Eatmore chocolate bars into 6 pieces, place on parchment paper-lined cookie sheets, and bake in a 325 degree oven for 10-12 minutes. 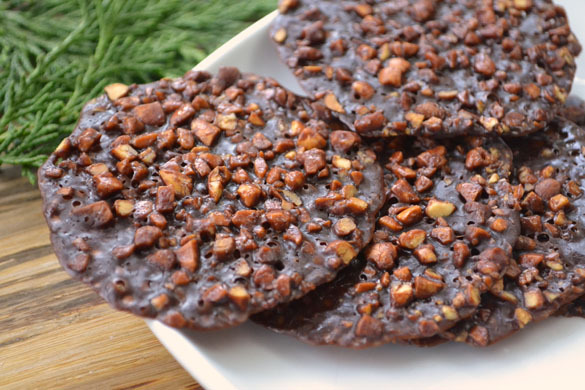 They spread and become crispy like Florentines. AND THEY DO! 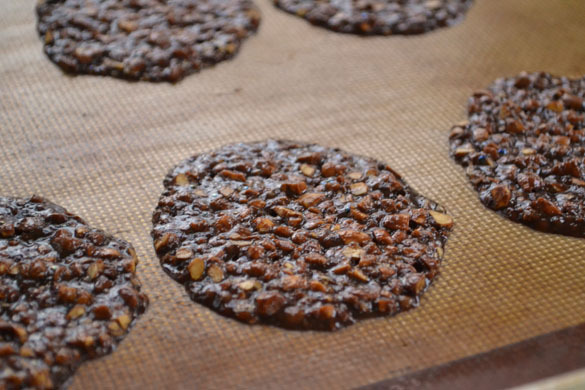 Let them cool, then just peel them off the parchment or silicone mat. Another great thing about these – you eat one and it seems like you’ve had a treat, and yet you’ve only eaten a sixth – like a bite – of an Eatmore bar. I just made some of these to take to a family gathering tomorrow. You’re definitely right: easiest cookies ever! Imagine my amazement when I checked “Dinner with Julie” and saw my name in the “headline”!! i don’t want to take credit for inventing these – I got the “recipe” from my friend Margaret, and she can’t remember where she got it from. Yes, it’s true, this recipe hardly qualifies as baking, but that is a large part of its appeal, at least for me! A word of warning, however – EatMore chocolate bars are not available in the USA – at least not in California, where I tried to buy them a couple of years ago. Maybe someone should look into that!! At 40 calories each, these are delicately DELISH!!! EatMore bars are only 69 cents at Dollarama (in Calgary). Our daughter lives in California and hasn’t seen them for sale. My oven must be hot as the “cookies” only took 6 minutes to bake. Thanks Margaret, Trudie and Julie!!!! I had to read this post a dozen times before I realized that “EatMore” are candy bars! I kept looking for a recipe!!! Eatmore bars are made by Hershey’s, but not available to us in the U.S. These are ridiculously yummy!!!!! Just made a bunch of them. Thanks for sharing the recipe! 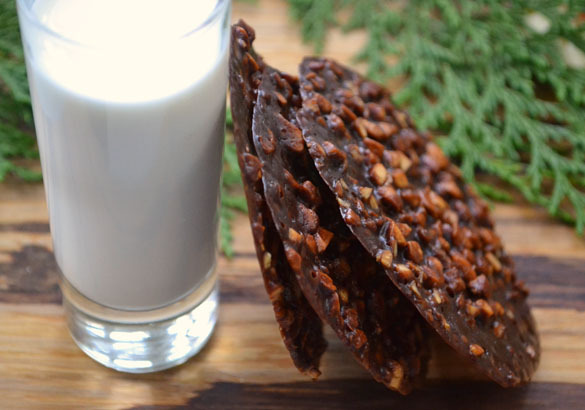 I know this an old recipe but I thought I might try making them into cups as I do with Florentines for American Thanksgiving (I imported the bars from Canada). Do you think this will work? I don’t see why not! Great idea!